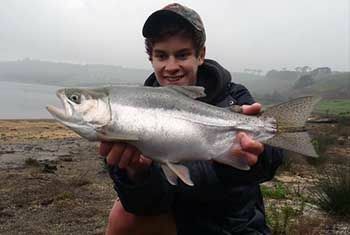 Tim Vincent, was fishing at Bullen Merri in his kayak in 50 meter deep water when he caught this monster fish. Lure of choice was the Nories Wasabi Spoon in gold retrieved nice and fast. Tim ended up spending 3 hours on the water. Well done Tim its a cracking fish and were looking forward to some new reports soon.